The aim of the European and American authors of this blog is to provide companies from all over the world with an enhanced and consistent understanding of export controls and economic sanctions. These experts are familiar with many sectors of industry, such as real estate, banking & finance, trade & distribution, computer, telecommunications, software, electronics, process management, aerospace, chemical and pharmaceutical industries. They are involved into a daily practice of advising clients on the proper export classification of and licensing requirements for their products. The International Chamber of Commerce in Belgium (ICC Belgium) is the Brussels-based committee of the International Chamber of Commerce, The World Business Organization, and the largest, most representative business organization in the world, that champions open cross-border trade and investment, the market economy system and global economic integration as essential contributors to sustainable growth, job creation and prosperity. The ICC has three main activities: rule setting, dispute resolution, and policy advocacy. A world network of national committees in over 90 countries advocates business priorities at national and regional level. More than 2,000 experts drawn from ICC’s member companies feed their knowledge and experience into crafting the ICC stance on specific business issues. ICC keeps the United Nations, the World Trade Organization, and many other intergovernmental bodies, both international and regional, in touch with the views of international business. ICC was the first organization granted general consultative status with the United Nations Economic and Social Council. The Federation of Enterprises in Belgium (FEB) is the only multi-sectorial employer organization representing companies in Belgium’s three regions: Brussels, Flanders and Wallonia. The FEB represents more than 50,000 companies, accounting for 75% of employment in the private sector. The FEB promotes and defends the interests of those companies in nearly 150 federal, European and international bodies, with a view to creating an optimum business and investment environment. The FEB’s activities are underpinned by its thorough knowledge of the sector – thanks to the expertise of its member federations – and on key values such as the social market economy, sustainable development, business ethics, good governance, dialogue and self-regulation. The FEB aims to help create jobs for the future and ensure that these jobs complement each other, especially in the service, industrial and construction sectors. In terms of jobs, the FEB represents approximately 1.5 million workers in the private sector. It was founded in 1973 after a merger of the Federation of Belgian Industries and the Federation of Non Industrial Enterprises of Belgium. As a leading firm, Loyens & Loeff is the natural choice as a legal and tax partner for doing business in or from the Netherlands, Belgium, Luxembourg or Switzerland, our home markets. Clients can count on personal advice from any of its 900 advisers based in one of their offices in the Benelux and Switzerland or in key financial centres around the world. Thanks to a full-service practice, specific sector experience and thorough understanding of the market, its advisers comprehend exactly what they need. Loyens & Loeff International Trade Team assists its clients on indirect tax matters and regulatory issues attached to the international trade in goods and services. Their experts advise on issues including export controls, economic sanctions, the law of foreign investment, customs procedures, excises and VAT. The team has a wealth of experience handling trade and customs issues on behalf of manufacturers, exporters, importers and end users. In addition to experienced attorneys its team includes former officials and regulators as well as indirect tax and compliance officers with experience in multinational corporations. The firm assists clients with the filing of applications for all types of authorizations and licenses, the negotiation and drafting of appropriate contractual clauses and project documentation, drafting and implementing compliance programs, giving training courses and the performing of internal scans and audits. 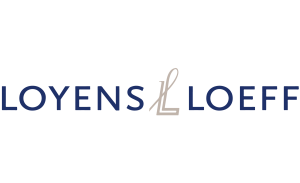 Loyens & Loeff represents clients before the Benelux authorities and courts as well as before the European Commission, its advisory committees and the Court of Justice of the European Union. 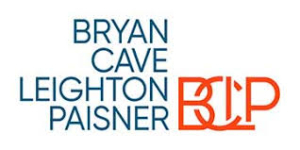 Bryan Cave Leighton Paisner LLP has one of the leading export controls practices among global law firms, and offers a comprehensive range of services relating to all of the major export controls and economic sanction regimes, including controls administered by the U.S. Departments of State, Commerce, Energy and Treasury as well as European Union and Member State export controls. The firm includes specialists in the International Traffic in Arms Regulations (ITAR), governing military products and technology controlled on the United States Munitions List (USML), Export Administration Regulations (EAR), governing commercial and “dual-use” items, sanctions programs administered by the Department of Treasury’s Office of Foreign Assets Control (OFAC), EU and Member State dual-use and military export controls; and nuclear export controls administered by the Department of Energy and Nuclear Regulatory Commission, and controls related to certain chemicals and controlled substances administered by the Drug Enforcement Agency. The firm advises public and private companies on how to develop corporate trade compliance and training programs when dealing with trans-border business issues in the United States, Europe and Asia, among other areas around the globe. The WORLD TRADE CONTROLS blog was launched in June 2016. Read the Legal Disclaimer.